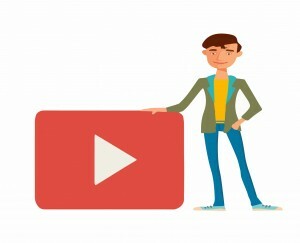 YouTube is far and away one of the most powerful social media sites in the world, and one that many organizations successfully use on a daily basis to connect with people and spread their message to as wide an audience as possible. Simply put, using videos and having their own dedicated YouTube channel is one of the best ways for companies and organizations to market and brand themselves. But producing Web videos can be costly. The good news is that with the YouTube nonprofit program, you can get the services some companies pay tens of thousands of dollars for each month for free! YouTube is the world’s largest video sharing site, with well over four billion hours of videos being viewed on a monthly basis. If you can tap into it, you’ll quickly see its value as a marketing tool. The YouTube nonprofit program provides free advertising for nonprofits and it’s one of the best fundraising ideas around. This program is part of the larger Google Nonprofits program that provides free ad grants to charities and nonprofits that qualify. It includes not only the YouTube program, but also up to $10,000 in free ad grants. That can go a long way toward spreading your message and getting people interested in your cause—and hopefully supporting it with donations as well. What Can uluad Do For You? While the Google for Nonprofits program and other charitable grants can be a huge boost to any nonprofit, the problem is that many organizations don’t know how to get grants. At uluad, we are dedicated to helping nonprofit organizations make the most out of Google’s generous 501c3 grants, and we have the skills and experience to ensure your success. We’ll take the time to help your nonprofit qualify for the YouTube nonprofit program and get you signed up so you can start sending your message out to a bigger audience. After you’ve been approved for the program, we’ll manage both your free AdWords campaign and your YouTube channel, putting our skills and experience to work so you get the most out of both these programs. With the YouTube nonprofit program, your organization will receive its own premium, branded YouTube channel with a much larger uploading capacity that is typically reserved for the very top contributors. You’ll also be listed in the nonprofits section of the site. While both of these are sure to help you reach a wider group of people, they’re still not the biggest benefit. You can imbed annotations and call-to-action overlays in your videos, which can be used to link to other videos or even back to your own external site. Your call-to-action is especially important, because it encourages your viewers to contribute and donate to your organization. Even better, you can actually include a Google Checkout button along with your videos so people can immediately make donations to your cause. In fact, some nonprofits have used this function to raise well over $10,000 in donations in a single day! As an experienced online marketing firm, uluad knows what works and what doesn’t, and we will use this experience to market your organization in the best possible way to ensure you make the most out of your YouTube nonprofit channel. We are highly skilled in using videos as a marketing tool for generating interest, and we can help you create videos and content that are sure to get you noticed. These charitable programs from Google can be some of the most powerful tools at your disposal, but they don’t come easy; therefore, it’s important you choose a marketing firm with the skills and experience that will make people sit up and take notice. We are committed to helping nonprofit organizations like yours, which is why we dedicate a portion of our business to working with charitable groups. If you’re ready to really start making a difference and getting the most out of the Google nonprofit channel, let uluad help you through the application process and manage your accounts for you so you can focus on what’s most important: doing the good work you do for others.